Not very long ago, an MBA used to be considered a quintessential part of one’s education (especially in India and even the larger South Asian region). A bachelor’s degree was a mere formality – an MBA was the education that really decided what you became, how well you did in life, and even what others thought about you. At GyanOne, our perspective on MBA programs goes well beyond just admissions. We care about applicants’ motivations for pursuing an MBA, and are committed to bring to them perspectives through our collective experience (100+ man years of professional experience) that could help them make more informed choices. This post attempts to explain why an MBA is an excellent program well worth pursuing for the skills it bestows. Towards the end, we also discuss some things than an MBA is not. Unfortunately, the reputation of the MBA has taken a beating in recent times, even if enrollments at top MBA programs has not. A large number of specialized programs have instead sprung up as substitutes to the MBA. These include specialized Master’s degrees in Banking, Finance, Accounting, Marketing, and Brand Management, to name just a few. They aim to make a student not a jack-of-all-trades (like an MBA does), but a master of one. Within the corporate world too, business managers who hail from a specialized or functional background (like CAs or CPAs or banking professionals), together with managers with more experience than education (read: only Bachelor’s degrees) deride the value of the MBA. They feel that an MBA provides one with skills that are too generic to be useful – that the education on various aspects of business management is spread out too thinly in an MBA to really make an impact. They also feel that MBAs are essentially jargon-spewing superficial people, who replace functional ability with jargon and pretension, and get away with it only because their decision making abilities are (wrongly) overrated by senior management, who are also MBAs. This is wrong, but this perception nevertheless exists among some, and is the chief reason why an MBA is looked at as not worth the hype surrounding it. A comprehensive course in functional skills: B-school curricula are divided into two parts: the first, called the core part, which is compulsory for all students and covers the basics of business management – finance, marketing, operations, human relations, and even entrepreneurship. The second part of the curriculum allows the student to specialize in a given field of his or her choice by taking advanced courses in that field. For instance, if it is finance that captures one’s fancy, then one is free to take advanced courses in Corporate Finance, Financial Derivatives, M&A, Microeconomics, Private Equity, Capital Raising, and Valuations. These courses will provide not just a superficial understanding, but a strong basis on which to pursue a career in Finance. The notion that an MBA is not specific or deep enough to make a student a functional expert within his or her chosen area of specialization is therefore incorrect. The inculcation of a structured thinking process: Business schools use pedagogical tools that are very different from those used by other educational departments. Real world case studies are discussed in class to elucidate how different business situations were handled, and could have been handled better. Class discussions and presentations discuss difficult business problems from different industries. The key learning here is not how one would solve a given problem, but how one would approach it. Students work in teams to analyze the problems from different angles, and then provide solutions which they think would be optimum. This process of discussion, debate, and recommendation inculcates the ability to approach the solutions to business problems in a structured and organized way. Business problems themselves may be different and varied, but a structured thinking process gives one a key tool to begin thinking about a solution. This in turn increases the probability that the problem will in fact be solved. A key criticism that is often levelled against this point is that structured thinking towards a class of problems can only be built by experience – by tackling these problems, and not just by thinking about them. I agree – however, a simulation is the next best thing to reality. It builds some ability in solving problems, even if it does not make one a master in comprehensively resolving them. An awareness of the prevailing business environment: An MBA also makes one much more aware about the general business environment. We think this is a key skill that goes a long way in making one a successful business manager. Unlike a functional specialist, you are not just restricted to thinking about a narrow set of skills, but gain enough skills to understand and evaluate most business operations you will come across in your career. You may choose to specialize in finance, but you will know enough about marketing and human relations to make intelligent decisions about them, as you will need to when you assume more senior roles in the organization. This is where the MBA differentiates itself from other professional qualifications. Not only does it make you a jack of all trades, but it also makes you a master of one (through specialization in the elective courses). Professor Dipak C Jain on the Mission of Management Schools–Johns Hopkins University, March 2010. The development of people management skills: An MBA is not just about learning in class. It is also about meeting and networking with a distinguished set of smart individuals who will be your classmates, teachers, students, and maybe even later your colleagues. The typical MBA class of today consists of people drawn from highly diverse backgrounds – engineering, law, science, and literature, to name just a few. You will learn from your classmates’ experience across industries, professions, and jobs. You will also learn to work in a group with individuals who are from different background, and think differently from you. As a result, you will learn to manage, and be a part of a team which strives towards and achieves common goals. No other educational program that I know of, except an MBA, provides for both collaborative and individual development at the same time. Quick access to the latest research in management science: Typically, research from within universities takes a long time to make it to curricula. Management research does not have to be approved by regulatory bodies before it can be applied, making the time to application lesser. However, in B-school, you can benefit fairly quickly from research on management issues being carried out by the faculty. Benefitting from new ideas in management research can be a great advantage – giving you new tools and processes to solve problems faster than your contemporaries. Access to an active, accomplished alumni base: B-schools cultivate their alumni base much more actively than other departments within universities. This is in part because MBA programs also compete for admitting the best and brightest students, who are most likely to be successful and therefore enhance the brand value of the school. Therefore having close connections with a successful alumni base ensures a better image for the school itself. It also ensures greater recognition for your education when you apply for jobs, as most companies already (hopefully) equate the alumni of your school with a high level of performance. A window to further opportunities: An MBA may not be an end in itself. While most MBA graduates choose to pursue corporate careers after an MBA, there is also a class of people who use the MBA for getting an introduction into the world of business. Thereafter, they may pursue entrepreneurship, or even further education in the field of business. An MBA, therefore is much more than another master’s degree. It builds specific functional and interpersonal skills, and prepares its graduates well for taking up positions in business management. Not a quick path to higher salaries, senior positions: Professionals are frequently attracted by the allure of the MBA because they feel that it will offer them a quick path to senior positions and higher salaries. This is true only in a few cases, and the effect drops off the greater the experience the person has before the MBA. Similarly, too little work experience before the MBA may also prevent you from realizing a career jump. The optimum time to get maximum career benefit from the MBA is when one is at a junior to middle level position. Not a stamp of brilliance or capability: Graduates from some of the top MBA programs tend to feel that an MBA from a premier university or institute is enough to certify them as exceptionally competent and/or brilliant. 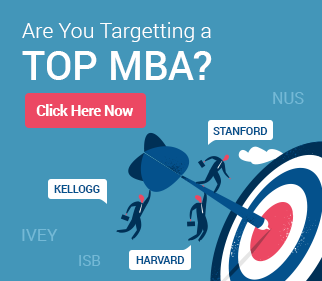 If the MBA is from a top program, then this effect does exist. However, it drops off quickly, and is almost completely gone within an year. Thereafter the only parameter for capability is your performance. In fact, being from a top school can have its drawbacks as people expect you to be more hardworking, resourceful, and innovative than other employees. Not a substitute for experience: As noted above, an MBA will not make you jump more than one level in your current job. Considering that most MBA programs require two years to complete, you could make that leap if you instead opt to stay on in your job too. Further, although an MBA will give you critical skills to succeed in your job, it will not give you the experience that may be needed to be successful in senior positions. Therefore get the MBA when you are at a lower to middle level position, and count on your performance and experience to take you further. GyanOne MBA Admissions Consultants have helped applicants to get into top MBA programs globally, for over a decade now. They aim to provide applicants with their expertise and deep understanding of what admission committees are looking for, and thus crack top MBA admissions and interview processes. Good info on why an MBA is important. I would like to express my sincere appreciation to the Gyanone team for helping me secure my admit at the Richard Ivey School of Business. The professional manner in which they conducted their services and the feedbacks provided during the mock interviews were very much valued. Being a working professional, they helped me channelize my core strengths and correspondingly bridged the gap between the b-school I was applying to. I would recommend their services to aspiring b-school applicants without a second thought. Thanks for your support and efforts, I have finally recieved an admit form MIT for their SCM program, with a 50% scholarship.Thanks once again for all the help. Really appreciate it. I am a Merchant Navy officer and had enrolled with GyanOne for applying to INSEAD. I saw that they had deep expertise, were always willing to help in whatever way possible, and helped me create an excellent final product that resonated well with INSEAD. After receiving the interview call from INSEAD, I also took GyanOne’s help in preparing for the interview. Again, their excellent advice and great feedback helped me to prepare well for the final interview, which I was very comfortable with after three mock interviews with GyanOne that closely simulated the real interview. I received the INSEAD admit earlier this week. Kudos GyanOne! 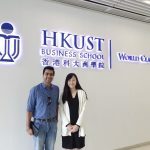 INSEAD, HKUST Admit / ISB Admit Too! I would like to provide feedback about GyanOne admission consultants. I had taken GyanOne’s service for preparing my applications to Schulich and Sauder business schools in Canada. What I liked about them is the personalized attention they provide, with several rounds of review on each and every aspect of the MBA application. They make sure that the application is in the best possible shape, even when you are not able to spare time on your essays with work commitments, by providing you with timely help, reminders and revisions. Although I have still not decided on which school would I be selecting finally, I really want to thank them for making this possible. Would not have been possible without their knowledge of the admission and interview process, detailed feedbacks, expertise, professionalism and commitment. Thanks a lot guys! It is with great pleasure to write this testimonial for GYANONE. After searching for lots of admission consultants, I stumbled upon GYANONE admission consultancy. The GyanOne consultants have really helped to really create awesome application for my masters program. Even when I was in the verge of my deadline for my application in Australian business schools, the consultants worked hard to help me create my Sop for three top ranked schools(Monash university, university of Sydney and Australian school of business) which helped me to get interview calls from all the three colleges that I had applied. Till now , i have already got an offer from MONASH UNIVERSITY with 60 percent scholarship. From my experience, I have no hesitation in claiming that when it comes to persuing GMAT and subsequent B-school admission process, GYANONE is the way to go. And btw, it is competitively priced too!! All you applicants out there, feel free to reach out to me for any questions. I am a professional in product development domain of the automotive industry. CEIBS China, one of the top programs in Asia, was my top choice for pursuing an MBA. I got in touch with GyanOne, and was impressed with their insights and knowledge about Asian bschools. GyanOne helped me in preparing a strong application for CEIBS. The essays, resume and other aspects of the application were taken care of and guidance was provided on a proactive basis throughout my association with them. After getting an interview call, I also took their services for the interview preparation, and was very happy with their detailed feedbacks and close to real mock sessions. They really know what top schools expect out of Indian candidates and help you focus on the right aspects. I would highly recommend their services to all those who are preparing their applications for CEIBS and other top Asian bschools. I have received an admit for the Masters in MS in Computer Science at University of Chicago and Texas Dallas for the fall 2014 admissions. While looking for admission consultants who specialize in Masters applications and SoPs, a friend (who got into a top US program) suggested me GyanOne admission consultants. Over the next two months, the GyanOne consultant, with his deep knowledge of the IT and analytics industry, helped me understand the Masters admission process and, the right elements that have to be highlighted in my SoPs and application to these top Masters programs in US. It is their experience, exposure of interacting with various top schools and good network of successful clients, that made by experience working with them truly rewarding. I would suggest everyone looking to apply for top Masters programs, to go with them, to create best quality, well-structured and impactful SoPs! Oxford, Cambridge and LBS – This Googler Cracked All Three!